totally surreal. The fact that the little bird decided to return to her nest after I had moved it had a profound effect on me. It is a reminder of the beauty and resilience of nature and life. 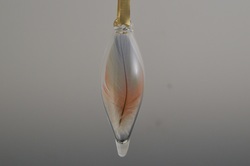 I invite you to find your own interpretation of the feather ball.